Frugal quad-core. 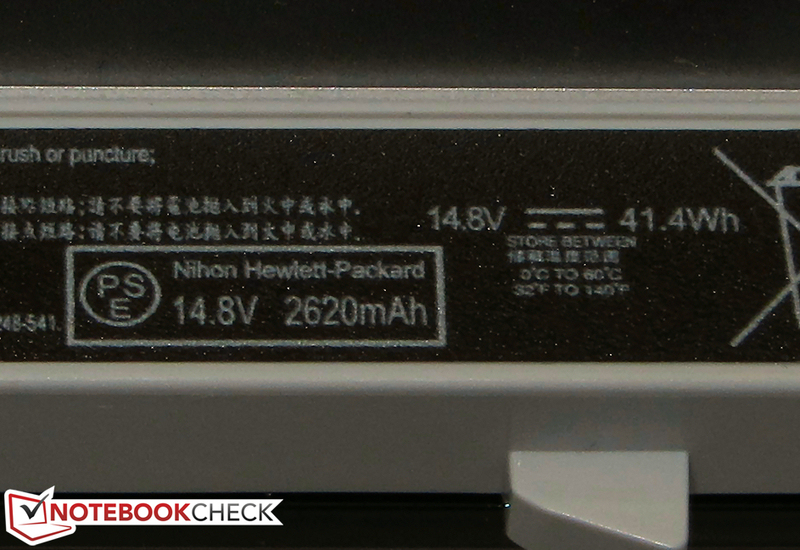 The HP Pavilion 15-050sg is an inexpensive notebook (399 Euros, ~$545) with a quad-core processor and a large hard drive. Thanks to the ULV APU from AMD it should be frugal and offer long battery runtimes. Is the Pavilion 15 a convincing package? Find out in our in-depth review. Virtually every manufacturer offers notebooks in the sub-400 Euros (~$546) range and it can be a really tough task to find the right device. HP now offers another notebook, which is supposed to attract customers with a quad-core processor and a large hard drive. 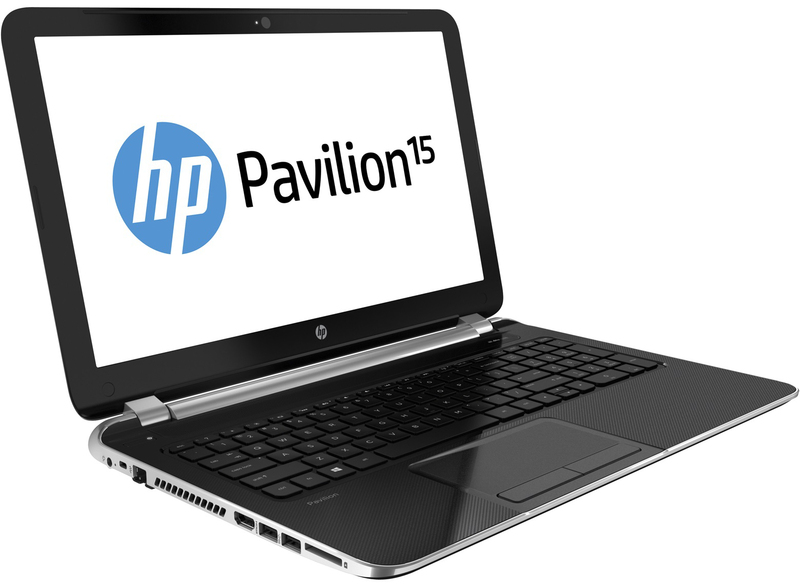 The Pavilion 15-n050sg is not our first review unit from the current Pavilion 15-series, we just reviewed the Pavilion 15-n005sg (Core i5-4200U, HD Graphics 4400) and the Pavilion TouchSmart 15-n010sg (Core i7-4500U, GeForce GT 740M) a little while ago. 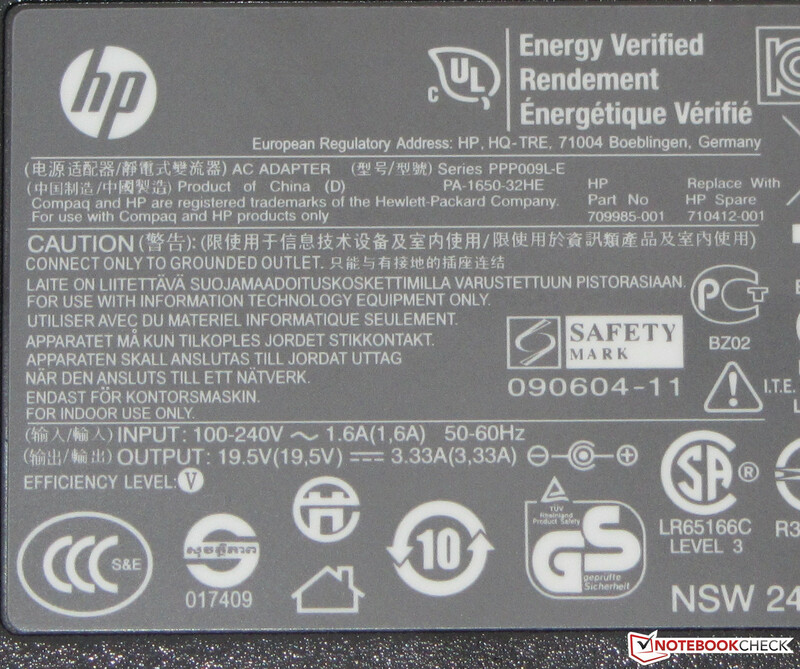 Does HP offer an inexpensive or a cheap notebook? We use the rivals Acer Aspire E1-572 (Core i3-4010U, HD Graphics 4400) and Samsung Ativ Book 2 - 270E5E (Pentium 2117U, HD Graphics (Ivy Bridge)) for the comparison. The chassis of the Pavilion 15-n050sg is completely identical to the Pavilion 15-n005sg, so we do not have a closer look at the case, the connectivity, the display, the input devices and the speakers in this review. The according information can be found in the review of the n005sg. The Pavilion 15-n050sg uses the same display as the Pavilion 15-n005sg. Our measurements are not completely identical due to manufacturing tolerances. While the Pavilion uses a glossy panel, both the Ativ Book and the Aspire have a matte display, and the Aspire even has Full HD (1920x1080 pixels). The Pavilion 15-n050sg is an inexpensive office notebook. It does not have any problems with simple tasks like typical office work, Skype, web browsing or movie playback. Modern games, however, can only played with reduced details and in low resolutions, if they run at all. 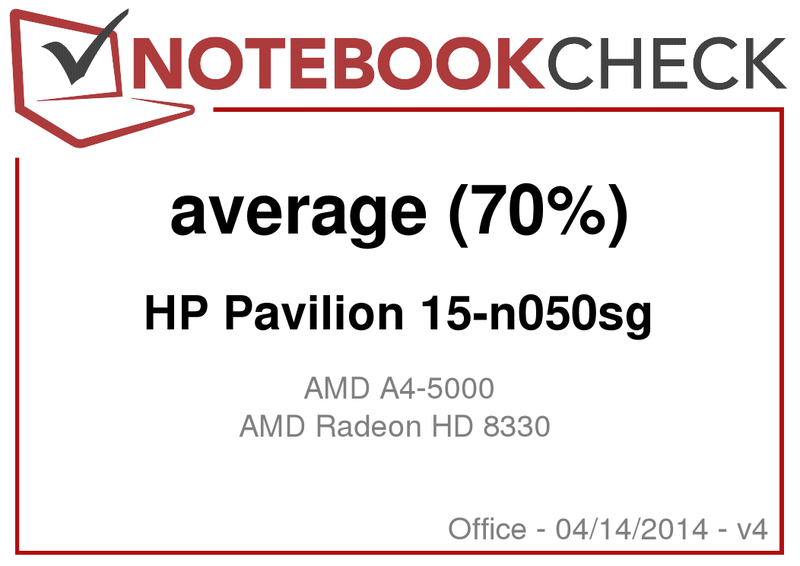 You can buy the device for 399 Euros (~$545), but the Pavilion 15-n050sg is just one of many notebooks from HP's Pavilion 15-series. There are configurations with Intel and AMD components and we already reviewed three devices from this series: Pavilion 15-n005sg (Core i5-4200U, HD Graphics 4400), Pavilion 15-e052sg (AMD A8-5550M, AMD Radeon HD 8550G + HD 8670M Dual Graphics) and Pavilion TouchSmart 15-n010sg (Core i7-4500U, GeForce GT 740M). Hewlett Packard equips the Pavilion with an AMD A4-5000 APU, which belongs to the current Kabini generation. Similar to any modern AMD APU, the Kabini APUs are also based on AMD's Jaguar architecture. The CPU part of the APU consists of four processor cores clocked at 1.5 GHz, but there is no Turbo. AMD specifies the TDP with 15 Watts. You can find more information and many benchmark results in our short review of the A4-5000 APU. The CPU is able to maintain its full performance (1.5 GHz) in the Cinebench CPU tests, however, the CPU cannot keep up with Intel processors from the rivals in single-thread applications. The situation changes in multi-thread scenarios, where the AMD processor is on a level with the Pentium of the Ativ Book (Pentium 2117U, HD Graphics (Ivy Bridge)). However, the Core i3 of the Aspire (Core i3-4010U, HD Graphics 4400) is just too powerful. Our Pavilion is slightly better than the Aspire in the GL tests, but the Aspire does have the better GPU - which is supported by our gaming and 3DMark benchmarks. The overall system performance is quite good and the experience is very smooth. PCMark does not determine overwhelming results, but they are on an expected level for the AMD APUs. Both the Aspire (Core i3-4010U, HD Graphics 4400) and the Ativ Book (Pentium 2117U, HD Graphics (Ivy Bridge)) are superior because of the more powerful processors - especially with single-threaded applications. The hard drive of the Ativ Book also manages higher transfer rates. 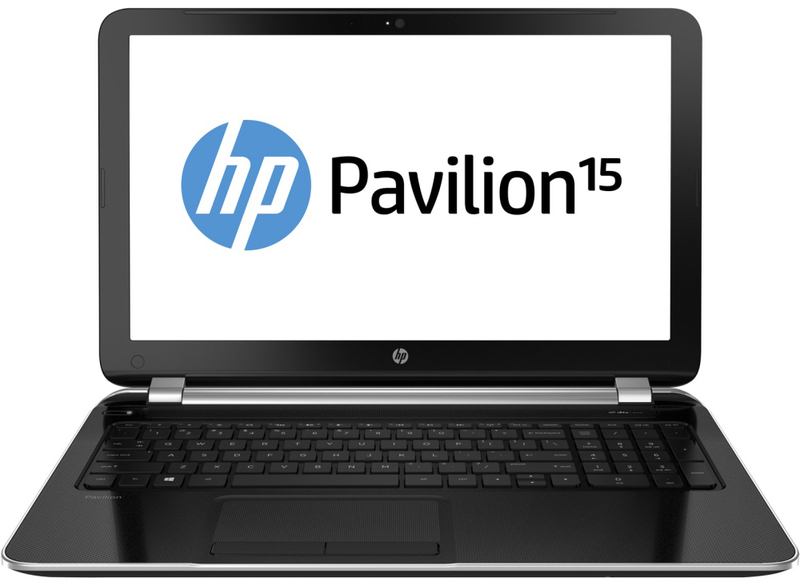 Hewlett Packard equips the Pavilion with a Travelstar 5K1000 hard drive from HGST. It has a capacity of 750 GB and works with 5,400 rpm. CrystalDiskMark determines a read performance of 93.81 MB/s and HD Tune shows an average transfer rate of 82.1 MB/s. We also want to mention the low access time of 16.5 ms. 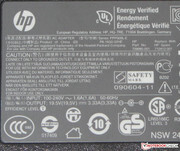 The overall performance of the hard drive is good; it offers a large capacity and is not too slow. This component would also be suitable for some of the more expensive notebooks. 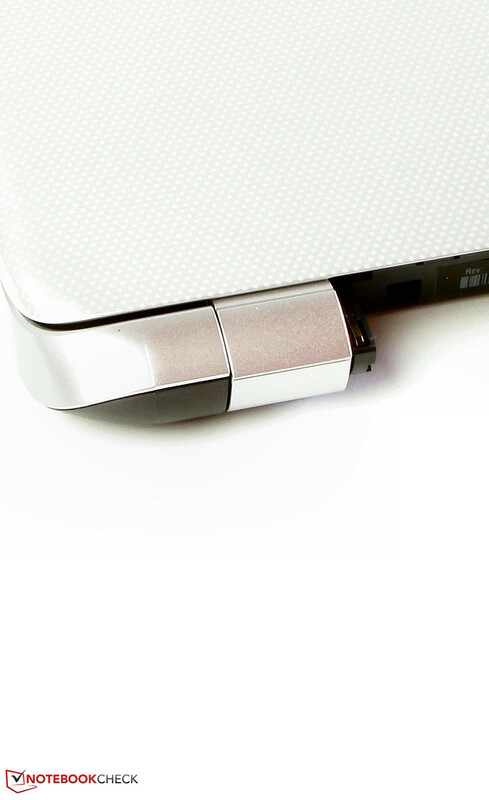 The hard drive is protected by HP's 3D DriveGuard technology. 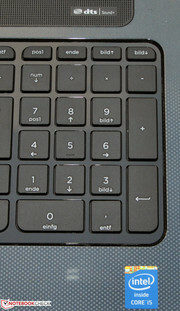 A sensor registers vibrations - for example a drop of the notebook - and puts the read and write heads of the hard drive in a parking position to protect the sensitive data layers. The GPU is also provided by AMD and has the designation Radeon HD 8330. It supports DirectX 11.1 and has a clock of 500 MHz, but there is once again no Turbo. All 3DMarks show better results for the Pavilion compared to the Ativ Book (Pentium 2117U, HD Graphics (Ivy Bridge)), because the AMD GPU is superior to the counterpart from Intel. The AMD GPU cannot keep up with the Aspire (Core i3-4010U, HD Graphics 4400); the performance is comparable to Intel's HD Graphics 4000. Similar to all modern GPUs, the Radeon Core also has a video decoder to reduce the CPU load. It is therefore no problem to watch Full HD movies on the Pavilion (1920x1080 pixels, H.264). We used the tool DXVA Checker and determined an average CPU load of 5%. The integrated AMD GPU is an entry-level solution and the performance is usually insufficient for 3D games. Only a few games can be played with the lowest resolution and minimum settings - for example Anno 2070 or Dirt 3. Even a current game like Tomb Raider is just playable. Less demanding games like FIFA 14 run smoothly in the native resolution (1366x768 pixels) and with high settings - which can be seen in other reviews of notebooks with the A4-5000 APU. Many integrated GPUs like the HD Graphics from Intel and the Radeon cores from many A-series AMD APUs provide higher frame rates if the notebook has a dual-channel memory configuration. This happens automatically when you insert a second RAM module. The Pavilion, however, would not benefit from a second memory module; the integrated memory controller only supports single-channel configurations. You should look for another device if you want to play current games on the notebook, for example the Aspire - but a configuration with a dedicated GPU: Aspire E1-572G (Core i5-4200U, Radeon HD 8750M). The notebook is currently available for less than 500 Euros (~$683), the model Aspire E1-572G-54204G50Dnkk, for instance, retails for just 469 Euros (~$641, without Windows). We measure 32.3 up to 33.3 dB(A) during idle. These results are a bit high when we consider the ULV APU of the notebook. The fan is always spinning, both the Aspire (30 dB(A)) and the Ativ Book (29.7 up to 30.7 dB(A)) do a better job. 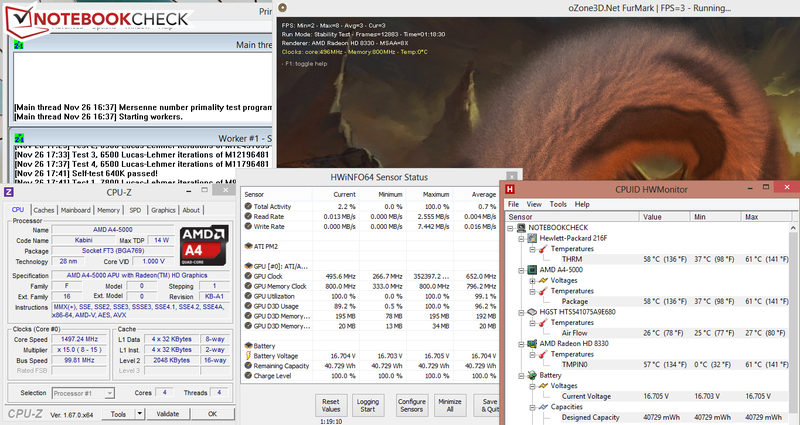 Medium workloads (3DMark06 running) or maximum load (stress test, Prime95 and Furmark simultaneously) on the Pavilion result in 35.9 and 40.2 dB(A) respectively. The Aspire (31.3 and 32.6 dB(A)) and Ativ Book (31.5 and 32.4 dB(A)) are once again much quieter. All three comparison devices are equipped with ULV hardware. The surface temperatures are accordingly very low during idle. The Pavilion is especially good with values below 30 °C, which is a result of the constantly spinning fan. We can only see a slight increase for the Pavilion under load; the maximum value was 35.3 °C. It is therefore no problem to use the device on your lap. Both competitors get warmer, and the Ativ Book even surpasses 40 °C at one spot. Our stress test (Prime95 and Furmark simultaneously for at least one hour) shows that the CPU is able to maintain its full performance (1.5 GHz) both with the attached PSU and on battery power. The same applies for the GPU with a steady clock of 500 MHz, which is reduced to 400 MHz on battery power. The CPU temperature leveled off at around 61 °C with the attached PSU. The Pavilion is very good in regard to the energy consumption: We can only measure between 5 and 7.3 Watts during idle; the Aspire (5.6 up to 9.2 Watts) and Ativ Book (5.7 up to 8.9 Watts) consume a bit more energy. Medium workloads (3DMark06 running) or maximum load (stress test, Prime95 and Furmark simultaneously) result in 17.2 and 21.6 Watts respectively. The Pavilion is once again more frugal than the Aspire (24.2 and 26 Watts) and the Ativ Book (24.8 and 30.5 Watts). We also like the low consumption during stand-by and when the device is turned off, it is actually too low for our measurement tool. The provided power supply unit with 65 Watts is more than sufficient for the consumption. The Pavilion provides long battery runtimes thanks to the low energy consumption. The battery manages 8:39 hours during idle, both the Aspire (6:22 h) and the Ativ Book (7:04 h) have to be recharged sooner. The idle runtime is determined by Battery Eater Reader's Test: Minimum display brightness, activated energy-saving mode and deactivated wireless modules. We determine a runtime of 2:25 hours under load for the Pavilion. The Ativ Book is on a similar level with 2:20 hours but the Aspire only manages 1:31 hours. Our WLAN scenario ends after 5:25 hours on HP's notebook; neither the Ativ Book (4:19 h) nor the Aspire (3:55 h) can keep up with that. The WLAN module of the Aspire was not working, so we used the Ethernet connection instead. This scenario uses a script to refresh a website every 40 seconds with activated energy-saving features and a display brightness of around 150 cd/m². DVD playback on the Pavilion is possible for 4:09 hours. The Ativ Book is slightly better with 4:22 hours but the Aspire (2:48 h) cannot keep up. The WLAN test uses the energy-saving mode (or a higher energy profile if the DVD playback is not smooth) and maximum display brightness while all wireless modules are deactivated. It is not really surprising that the Pavilion offers the best battery runtimes since it has the largest battery (HP: 41 Wh, Acer: 37 Wh, Samsung: 40 Wh) in combination with the lowest energy consumption. The HP Pavilion offers sufficient performance for everyday tasks like web browsing, Skype, text editing or movie playback. It is also very frugal and provides good battery runtimes. Most of the low-cost rivals cannot keep up with that; the device also has a comparatively large hard drive. The drawbacks are similar to other devices from the Pavilion 15-series: There is only Fast-Ethernet and HP removed the VGA port. If you need this port you will have to buy an according adaptor (HDMI to VGA, around 20 Euros, ~$27). The limited one-year warranty may be reasonable for the price of around 400 Euros (~$546), but the competition often comes with 24 months at the same price. Acer's Aspire E1-572 is an interesting alternative if you are looking for more CPU performance and it also offers a matte Full HD display. Samsung's Ativ Book 2 - 270E5E offers a good balance between performance and battery runtimes and is also equipped with a matte panel. 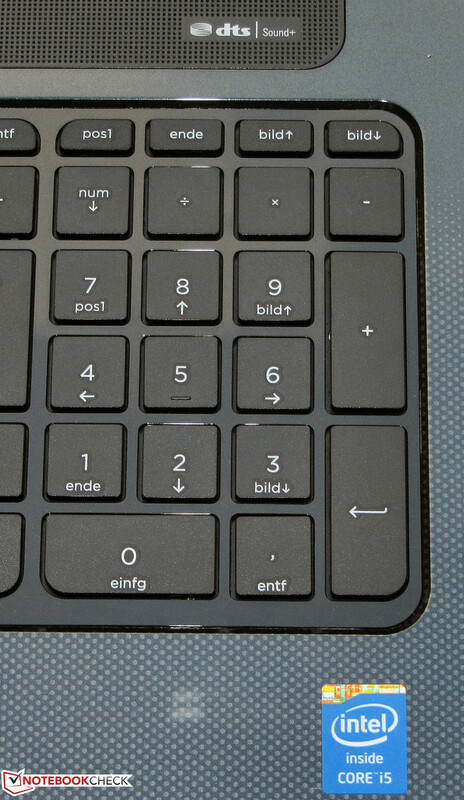 There is a separate numeric keypad. ...and a capacity of 41 Wh. The low energy consumption and the resulting battery runtimes. We miss some features that are offered by many similarly priced rivals: a Gigabit-Ethernet port, VGA-out and a two-year warranty. The Pavilion manages runtimes that we don't see very often in this price range. The reason for this is the frugal ULV APU. Acer Aspire E1-572, Samsung ATIV Book 2 - 270E5E, Asus X55U-SX052H, Lenovo B580, Lenovo B590, HP Pavilion 15-n005sg, Medion The Touch 300, Lenovo G505s-20255, HP Pavilion 15-e052sg, Acer Aspire E1-522-45004G50Mnkk, Fujitsu Lifebook AH502, Lenovo G500s, Wortmann Terra Mobile 1512.